Remember a while ago, when we did the last walk-through of the house before the renters left, and I mentioned how one of my favorite things about our house has always been the warmth? The light pouring into the living room? And when I stood in the house as the renters moved their last belongings out, I was so very disappointed in how little our house felt anything like our home? The Beard has worked tirelessly to restore that feeling of “ohhhhh yea” to the house. Those are our new hardwoods! (Pay no attention to the tools on the fireplace.) I’m in love. And we got a great discount on them since it took so very long for them to arrive. Here are the kitchen floors, which I also like to stare at for minutes on end. Oh the light! I love the light! We also have new roommate who is arriving any day now. That room is looking pretty fantastic if I do say so myself. I’ll try to post photos soonish. We’re still staying strong on the no-internet front; I’m at the library now (where nobody uses their library voice. What’s up with that?). Once things slow down a little with the moving-in/unpacking/prepping-for-new-roomie stuff, I’ll have a post for you about some furniture renovation I’ve been working on the last few months. I’m pretty excited about sharing the pieces I’ve done. 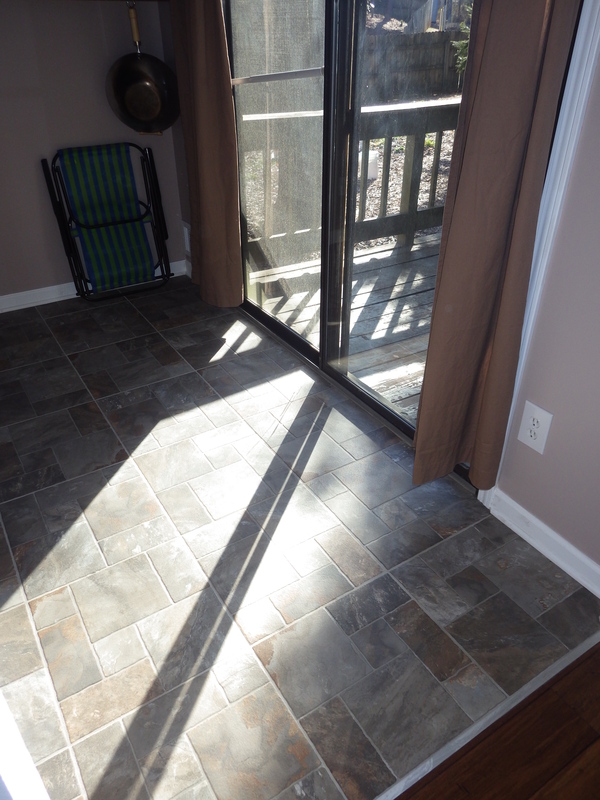 Until then, enjoy the light on those gorgeous floors. 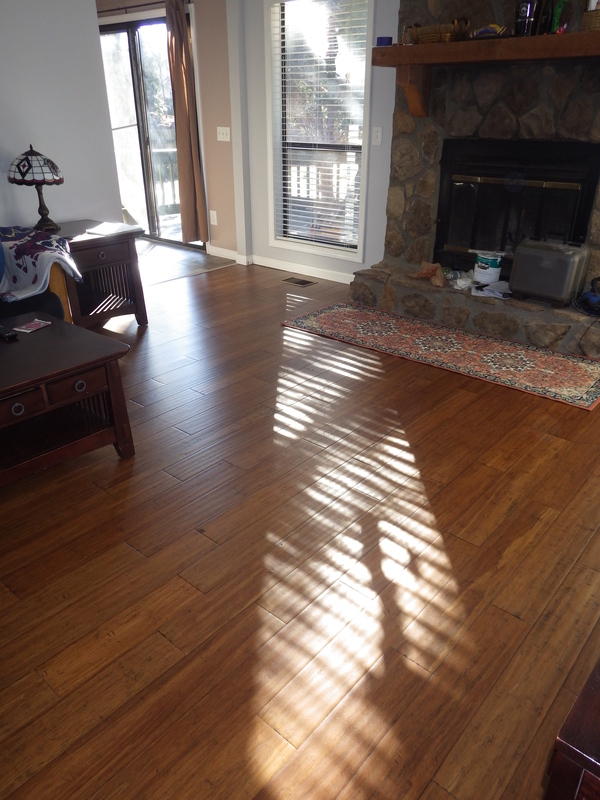 This entry was posted in American Samoa and tagged hardwoods, home depot, home improvement, remodeling, renovation. Bookmark the permalink.